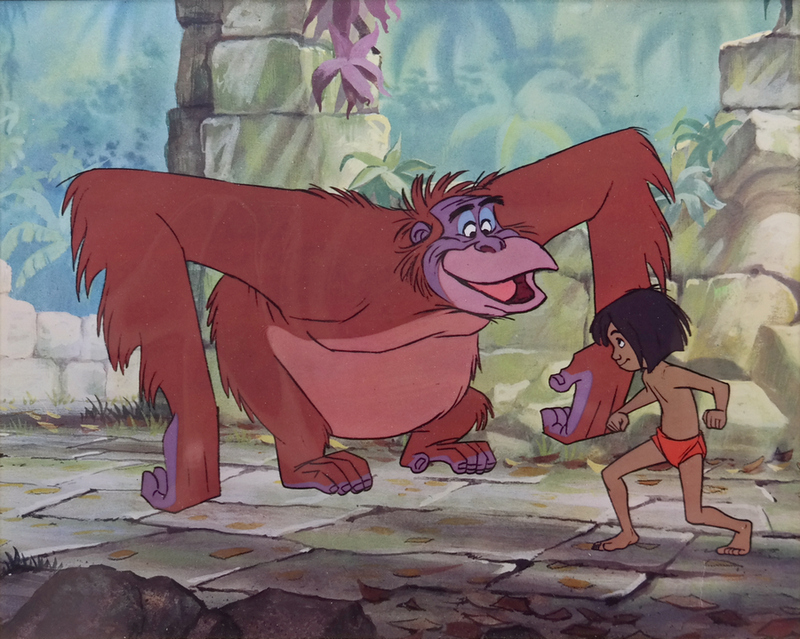 This is a vintage Disney print featuring imagery of King Louie from the classic 1967 Walt Disney Studios animated feature, The Jungle Book. In the late 1960s and early 1970s, the studio started using modern lithography for the prints they were creating for sale rather than the dye transfer process due to ease of printing. 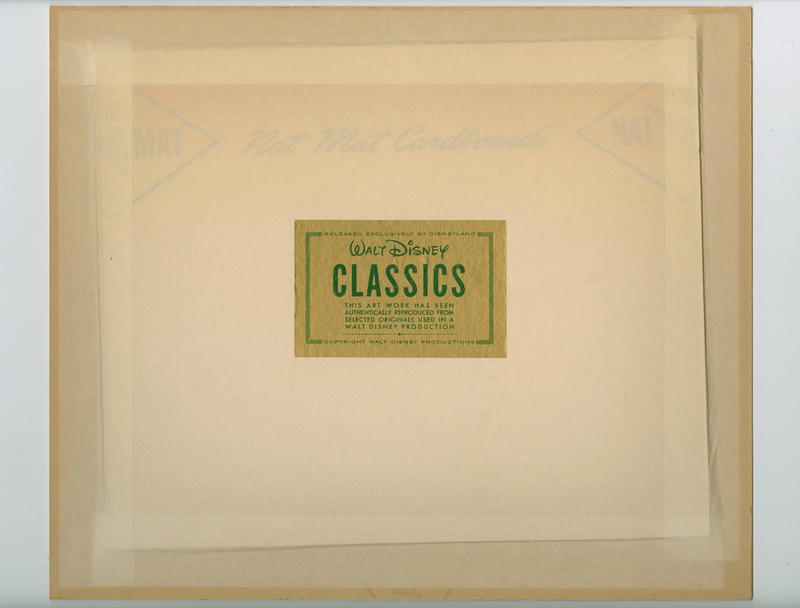 The print is still in its original mat as prepared by the studio, including the marketing sticker on the back of the boarding. 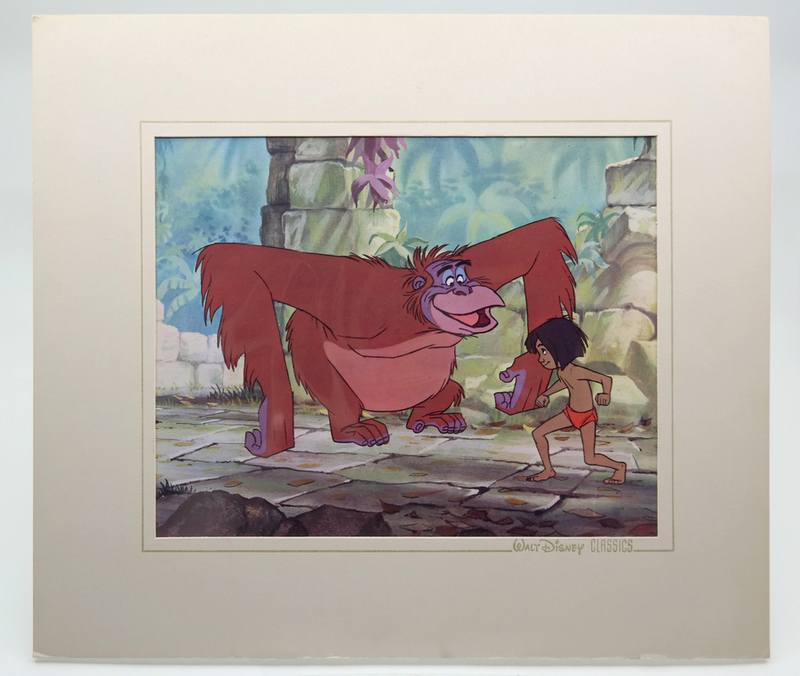 During the matting of the print, the studio also put a blank cel layer over the print to recreate a look more similar to the production cels, and also likely to help protect the print. The overall matted piece measures 12" x 14" with the mat opening measuring 7.5" x 9.5". The print is in great condition with some aging and wear to the matting, the glare seen in the images is just from reflection off of the protective cel layer and is not a defect in the print itself.